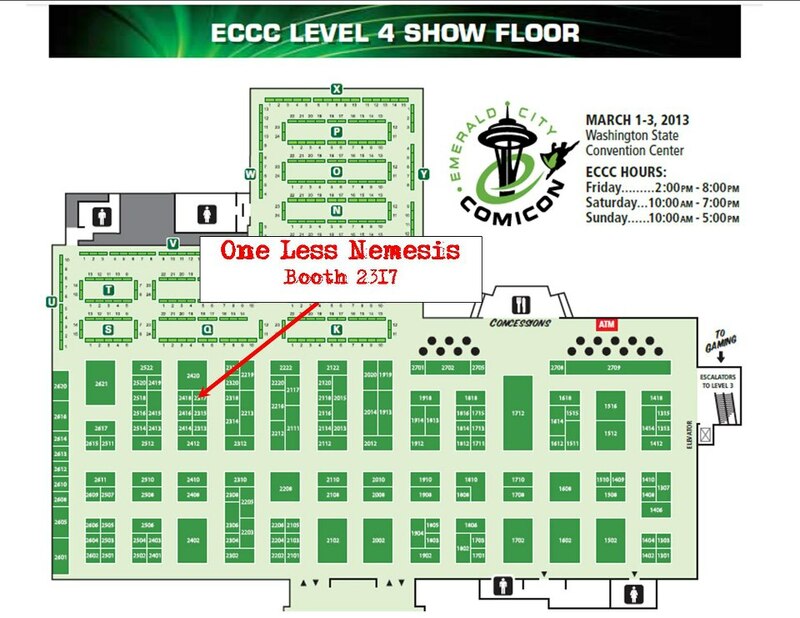 One Less Nemesis Blog: Emerald City Comicon!! We are SO excited to be at our first Emerald City Comicon! If you're in Seattle for the big event, come on by booth 2317. We have awesome prizes we'll be giving away including an Asgard Press vintage calendar and Dracula poster. Plus, we're selling our shirts at an awesome show only special price. Saturday and Sunday are sold out, but there are still tickets available for Friday. We hope to see you there! The awesome-ness that was Emerald City Comicon!